I wrote already so much about this mini series on thorough research on implementing OUTside of box thinking on the matter of #CuringCancer naturally and alternatively – which you can easily access on my page link HERE – CANCER CURES. So I will be brief this time and just pass forward further information as THE TRUTH ABOUT CANCER Online Summit is coming back with its FREE NEW series airing again : “The 9-part “Truth About Cancer: A Global Quest” starting April 12th! To get FREE access to all 9 episodes, make sure you sign up and register HERE. and DON’T MISS this opportunity to empower Yourself in up to date – knowledge on Cancer Cures that Work. This is the most powerful, educational, and life saving information about cancer treatments and prevention – ever published. Please help me share this free docu-series with the world and let’s end the cancer pandemic, once and for all. Watch this FREE online 9 days docu-series featuring 131 doctors, scientists and survivors from 27 countries that unite to spread information about curing cancer once and for all. The powerful cancer documentary series the mainstream media refused to air is about to play online. You’ll discover the most effective ways to prevent and beat cancer you won’t see elsewhere. The Cancer Answers Global Summit Dec. 7 – 13, 2015 – Life saving Integrative Information on Healing and Preventing Cancer and Chronic Dis-eases. “22 Integrative Medical Doctors, Alternative and Holistic Practitioners, Researchers, and Cancer Thrivers share the most up-to-date, effective healing approaches for cancer and other degenerative diseases in this powerful FREE Video series streaming from 7th Dec. – 13th Dec. 2015. Learn about Integrative, Alternative and Holistic Approaches to Healing and Preventing Cancer and other Degenerative Diseases. Healing is easier than many people may think and overcoming “Impossible” is possible folks. Really. Takes a change in attitude and thought. Join 22 integrative medical doctors, experts in the cancer and health fields, and cancer survivors for The Cancer Answers Global Summit ! Featuring leading doctors and experts such as Ben Johnson, MD, Leigh Erin Connealy, MD, Nalini Chilkov, OMD, Tullio Simoncini, MD, Hyla Cass, MD and Antonio Jimenz, MD, this is a must- see video event! See the amazing schedule of integrative medical doctors, experts and researchers in the cancer and health fields here – SCHEDULE. Leave a comment The Cancer Answers Global Summit Dec. 7 – 13, 2015 – Life saving Integrative Information on Healing and Preventing Cancer and Chronic Dis-eases. “The Truth About Cancer: A Global Quest” FREE online Series. Make sure You watch it. Access Knowledge to Empower Yourself. I wrote already so much about this mini series on thorough research on implementing OUTside of box thinking on the matter of #CuringCancer naturally and alternatively – which you can easily access on my page link HERE – CANCER CURES. So I will be brief this time and just pass forward further information as THE TRUTH ABOUT CANCER Online Summit came back with a completely NEW series again starting 13 th October 2015! PLEASE REGISTER and DON’T MISS this opportunity to empower Yourself in up to date – knowledge on Cancer Cures that Work. This is the most powerful, educational, and life saving information about cancer treatments and prevention – ever published. Please help me share this free docu-series with the world and let’s end the cancer pandemic, once and for all. Watch this FREE online 9 days docu-series featuring 131 doctors, scientists and survivors from 27 countries that unite to spread information about curing cancer once and for all. If you haven’t watched the 21 minute “Sneak Peek” of NEWLY released series where you can see episode by episode through the series, be sure to watch it by clicking HERE. You can also download for FREE an Exclusive Report on 22 Ways to Cancer Proof Your Life e-book in Pdf form HERE. This powerful, life-saving, and groundbreaking docu-series starts October 13th at 9:00pm Eastern US time. — be sure to mark your calendars and check your time zones after registering online! 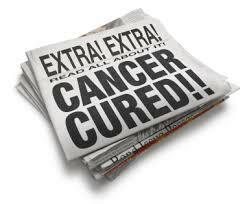 Leave a comment “The Truth About Cancer: A Global Quest” FREE online Series. Make sure You watch it. Access Knowledge to Empower Yourself. Get FREE access to 70+ expert interviews with The Future of Healing Conference starting 22nd June! Got an email a while ago from The Psychology of Eating Institute – that I am subscribed to and did quite a few summits and training with them, and I thought it’s definitely worth passing forward, as the knowledge this newly put together conference brings, will be life changing for many ! Hopefully ! After checking the topics and seeing schedule/calendar of talks with a wonderful panel of experts and speakers that I am familiar with from other summits – I am more than sure it’s gonna be a remarkable event! Worth subscribing! Starts 22nd June – FUTURE OF HEALING CONFERENCE – let’s move beyond closed minded thinking of healing with prescribed drugs, shall we?! It’s time for an approach to healing that honors all of who we are – body, mind, heart, planet and soul. If you’re ready to step into the future of healing! “Are you ready to step into the future of healing? In a time when far too many ailments afflict the body and so much pain lives in the soul, life is asking us to embrace a fresh new approach to healing and transformation. To that end, The Future of Healing Online Conference showcases the voices of 70+ top professionals and thought-leaders to help us step into new possibilities and a healthier future. Marc David & Emily Rosen, founder and director of the Institute for the Psychology of Eating will be your hosts in this exciting time together as we explore cutting edge thinking in the fields of nutrition, eating psychology, functional medicine, mind-body health, cultural transformation, spiritual awakening, the new sexuality, supplements and medicinals, planetary health and more. You’ll be inspired by experts from a variety of disciplines who have something unique and innovative to share. Worth Joining! It’s like combined nutrition studies in a way 😉 Outside formal university walls – you enter open minded waters of all possible solutions of healing and step outside the rigid, often obsolete methods of teaching. Register and access this remarkable event through the website of Psychology of Eating. It’s a brand new FREE event. Join at no cost here : HERE. See the “chapters” of Conference and listed speakers HERE. Hope you’d find it helpful ! Leave a comment Get FREE access to 70+ expert interviews with The Future of Healing Conference starting 22nd June! Amazing FOOD REVOLUTION SUMMIT is here! Register for FREE and dive deep into insightful knowledge from experts from all over the world! The Food Revolution Summit is The Place…for people all over the world just like you to get the latest updates, breaking news and information on what’s happening with dangers to your food. You’ll find out about research that big agriculture would rather you didn’t know existed. And you’ll get empowered with truth that could save your life or the lives of people you love. When it comes to your health and the lives of those you love, the time to get informed and take action is now… and this is the place to do it. Get insights about food policy you won’t hear on cable news! Dare to know the TRUTH about what you’re eating, where it comes from, and how it impacts your life. Join the world’s most respected visionaries, authors and experts and RECLAIM YOUR HEALTH with the FOOD YOU EAT! The food industry has hijacked the marketplace and processed junk food is pretty much everywhere. Even many so-called “natural” foods actually turn out to be hazardous to your health. From April 25 – May 3 Food Revolution Summit will deliver interviews with 25 of the top doctors, activists, and celebrities in the food world – including folks like: Dr Mark Hyman, Sayer Ji, Vandana Shiva, Paul McCartney, Tony Robbins, Vani Hari, Jeffrey Smith and many many more! They will cover topics like : Keys to an extraordinary life, In defence of food, GMO’s : alarming truths and what You can do, Food, democracy and the future of Life, Why GO’s should matter to you, Putting nutritional science to work, The real super foods, Eating to maximise lifespan, Standing for a Humane World, How You can thrive on a plant strong diet, Food as medicine,Holding the food industry accountable, How we can end world hunger, Say yes to thriving …and more! Did you know that one in 3 kids is expected to get type 2 diabetes? This is becoming an epidemic! Get empowered with the blood sugar solution. Why do some vegetarians thrive but some get sick or give up? Get the critical nutrient facts you must know if you’re a vegan or vegetarian. What’s the skinny on grassfed beef and “humanely raised” animal products? Are they for real, or a bunch of over-priced hype? your family to eat healthy instead of looking at you like a nut. 1 Comment Amazing FOOD REVOLUTION SUMMIT is here! Register for FREE and dive deep into insightful knowledge from experts from all over the world! Free online NEURO-SUMMIT – from 9th to 20th Feb. 10 Exclusive Interviews with world’s best psychologists, brain and mindfulness experts! It seems it is like never ending story with all those winter free online webinars, conferences and mind blowing summits that I keep recommending, following myself and tuning into since beginning of this year. I would also consider it as a huge culprit of me not posting any new articles and not sharing much on my blog lately – due to this small “addiction” to learning from all those Summits, alongside additionally doing some extra courses connected with my holistic practice. With modern ways of learning and ability to do some good research online and finding great information – You can easily, if committed enough, gain some profound knowledge on all topics of your interest. My subjects of interest and summits that I register to are varying from presenting up to date knowledge and research connected to : psychology, neuroscience, nutrition, meta-health and integrative medicine nutrition, spiritual psychology, spirituality in modern world, alternative medicine, alternative therapies in healing chronic diseases and cancer, quantum physics and quantum mechanics and all aspects of new science about holographic Universe, bridging science, mysticism and spirituality, power of subconscious mind, learning about new healing modalities, approach to treating addictions, breaking destructive habits and patterns, philosophy, science of beliefs, consciousness and the brain, quantum healing and quantum regeneration on cellular level, methods of releasing trapped traumas, epigenetics, rewriting our genome with the power of intention, and much, much, much more…. Apart from the Summits, that are already in play – I stated all of them in my previous blog post called : “5 FREE online winter Health, Wellness, Mind, Body Spirit Summits that are an absolute MUST to check out! Easily accessible knowledge from world’s best experts!”, there is one more coming our way starting February the 9th and ending on the 20th – and it’s the third edition of NEURO-SUMMIT available to register HERE. 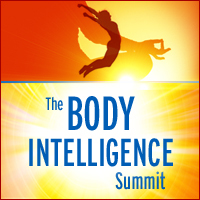 “The Summit offers a mind boggling line-up of the foremost experts in the extremely popular and growing field of Neuroscience, Brain Training and Mindfulness. 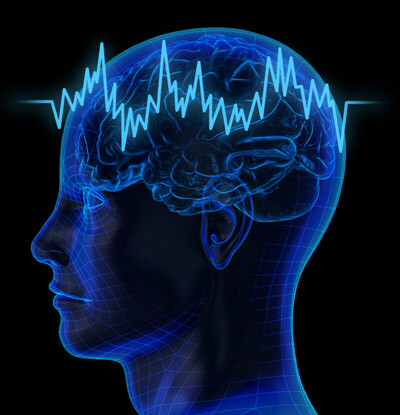 With all the new discoveries being made regarding the brain, we are finding scientific evidence now verifying the belief that mankind has held for centuries; the human brain plays a dominant role in the condition of our health, longevity, abilities, limitations, healing, happiness, and even our very reality. Leave a comment Free online NEURO-SUMMIT – from 9th to 20th Feb. 10 Exclusive Interviews with world’s best psychologists, brain and mindfulness experts! 5 FREE online winter Health, Wellness, Mind, Body Spirit Summits that are an absolute MUST to check out! Easily accessible knowledge from world’s best experts! There are many interesting FREE online health summits are happening this late winter times! This is a brilliant opportunity to expand your knowledge for FREE about how to be and stay healthy, about wellness with all its details, about Mind Body Spirit connection and the importance of holistic approach to one’s wellbeing, about healing traumas, emotional and psychological blockages, about finding your true Soul’s Path and understanding your purpose of life better, about activating dormant parts of ourselves in order to tap into our Higher Potential, about the importance of finding yourself by diving DEEP into yourself and being gently guided to discover your own true guru, that awaits your conscious recognition already Inside of yourself and much more. All those summits deliver fresh information and knowledge from all sorts of life, that you won’t find in books yet. You will be given a rare opportunity to tap into talks of experts who treat life as an never-ending learning process of constant developing themselves and adding new “bricks” of discoveries to already existing knowledge, and by connecting the dots – creating and offering constantly up to dated, full hands on pulse material on the topic of their expertise. It’s truly thrilling and exciting to have a chance to pick the subject of my interest and listen to those words of wisdom, combine it with what I already know, connect the dots of my own and make my own sense out of everything I hear. Almost all of the summits offer additional free goodies, free downloadable videos, e-books, meditations etcetera. 1. The Winter for Wellness Summit – Soup for Body, Mind, Heart and Soul. January 20 – March 20, 2015. 2 Comments 5 FREE online winter Health, Wellness, Mind, Body Spirit Summits that are an absolute MUST to check out! Easily accessible knowledge from world’s best experts!